Fragrance– for those of us that are blessed enough to speak Italian this translates into Fern Hawthorn. I find that it has an equal amount of each fragrance, nothing overpowering the other. They work symbiotically together to produce a beautiful bouquet of what I would call an aged forest, full of greens as well as fragrant trees and bushes. Their is zero flaw in the fragrance. Over the past 6+ months it has been stable and consistent with no unexpected spots. Lather– Years ago we were confined by tallow shave soaps in the Wet Shaving community. Donato has been ahead of the pack for years using different vegan oils and bases. This particular Crema da Barba uses Shea Butter which is known for the post shave smoothness associated with Shea. This would be considered the quintessential Italian softer Croap or, somewhere between a cream, and a hard soap. I found an easy 30-45 second loading led to ample lather for equal more than 3 passes. This will be factored by your water being hard or, soft. If it’s any indicator I have hard water which in theory should be a negative, gives me zero problems. I will say though this soap does prefer colder to warm water. I’ve used my scuttle many times, but I temper the water to be enjoyable, but still create ample thick and slick fragrant lather. Post Shave– As I have said above the main factor in the post shave is the Shea Butter Donato uses. People have used Shea for as long as smooth skin has been preferred (a really long time). I use the matching aftershave as a layering, but the true softness comes from the soap ! Conclusion- Easily put this is one of my favorite soaps to use. I prefer the earthy Fern and Hawthorn fragrance. It’s very natural in scent, and very protective. Felce Biancospino has the added benefit of containing Shea which gives a natural soft post shave feel. When combined with the aftershave you have a beautifully layered shave that’s fragrance lasts for quite sometime depending on your skins individual properties. There are very few soaps or, brands that equal the mastery of Donato Ciniello so, when you get a moment check out his website, and you heard it here on WSR that this is a solid purchase from a great European Artisan. I look forward to different days of the week; I usually have a theme for the day. Today happens to be Thursday so it’s from a “Tube”. Tubes ROCK ! They are usually compact, slick, and easy to travel with, compared to their rigid tub counterparts. Musgo Real no.1 Orange Amber is a 100ml tube of shave cream. The tube utilizes a aluminum based orange packaging, that seems to be of a little thicker wall. The Orange is bold with the Musgo Real logo; a crown 👑 and a very utilitarian no.1 Orange Amber embossment. Simple and to the point making this a humble visual to the cream inside. This is a higher end cream despite its packaging and falls into that price point of $22 for 100ml or, 3.5 ounces. This mini review can be finished in two words; Lanolin and Glycerin. This is the base of this top shelf cream. This allows the cream to have amazing glide, as well as being moisturizing, and to leave your face feeling not only healthy, but smooth as we say a baby’s bottom. The only detraction in my experience is the moderate lather it produces; many would argue this is not an issue, but I like a little thicker lather. Brush used: Envy Shave custom Silver tip Badger. This is a subjective topic as always YMMV, and one person wonderful is another’s awful (Lilac Vegetal for instance). The aroma wafted up to me as I lathered the cream with my brush. A combination of orange and musk along with a pronounced Amber, benzoin smell. I don’t usually pick up on the aroma that quickly, but this was well formulated. Wonderful as the lanolin has done its job perfectly. My face felt like a dream with a BBS outcome, but no redness or, irritation anywhere after 3 passes, and a mild touch up. I really debated if a post shave splash or, balm was needed. 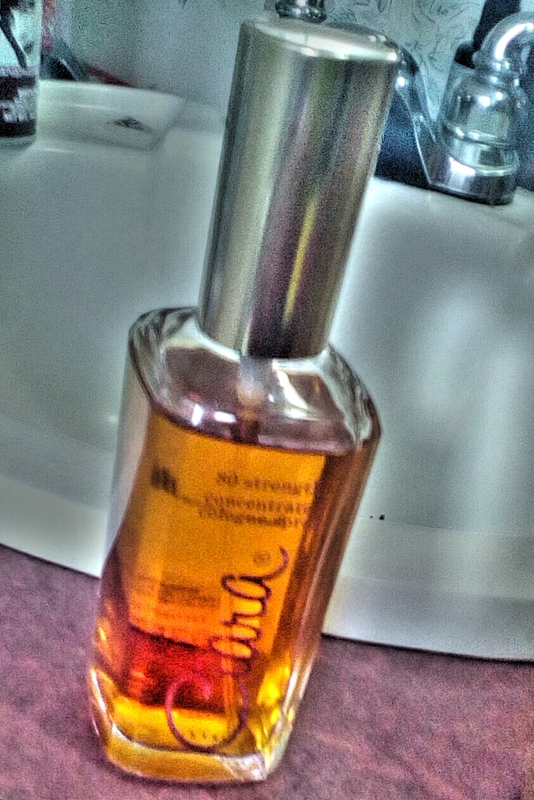 I ended up using Fine Accoutrements Italian Citrus, with a drop of Aqua Velva musk. I hope this little overview of Musgo Real’s no.1 Orange Amber cream in the tube was somewhat helpful. I purchased this cream from Straight Razor Designs Musgo Real Orange Amber Happy shaves my friends, and stay smooth. The review of this amazing Italian soap from Donato Ciniello will be fully reviewed this week, but until then here is some eye candy ! Continuing with my journey into wet shaving, not long after I had started enjoying my wet shaves with TOBS Sandalwood, I began looking around at other soap makers to try. I soon discovered Dr. Jons and their soaps looked appealing so I first tried Hydra. I found Hydra to be an enjoyable soap to use. The original Dr. Jons formula was quite soft (although not like a cream) and I quickly found the best way to lather it was to scoop out a small amount and press it into my bowl. Hydra is a very mild citrus scent which I enjoyed. But, after finishing a sample tin, I decided to try another Dr. Jon flavor and the most obvious choice was Anne Bonny. I was intrigued by what I had read about the tradition of bay rum as a shaving scent and Anne Bonny had taken it a step farther by adding black tea. The first time I opened the tin and took a whiff I was quite stunned at the incredible aroma. It is truly intoxicating! Sweet but with that black tea added in to tone down the sweetness. If you enjoy a good cup of tea you will no doubt love this scent as well. I think this is the third tin of Anne Bonny I have used. The first two were in the half size which Dr. Jons has since discontinued. That’s too bad because I enjoyed purchasing those sizes as a first attempt to sample one of their scents. But no problem here as I am a huge fan of Anne Bonny. Another thing I like about Dr. Jons is that their soaps come in a metal container (a real tin) and not plastic. In my opinion there’s too much plastic being used by the artisan shave soap makers. This latest version of Dr. Jons even comes with a threaded top so it’s a bit easier to get open. All of Dr. Jons soaps are a vegan formula and do not use animal products (such as tallow). But don’t let this put you off. The lather of Dr. Jons is quite excellent and in my experience it is as good as or better than any tallow based soap. The volume 2 version of their soaps are quite a bit harder than the original. I quite like this and I have found it actually easier to work with. I am able to bloom the soap with a bit of water right in the tin and then use that water on my face after finishing a shower. Some reviews I’ve seen say the soap is thirsty but I have not found this to be the case. In fact, I try to dry out my brush as much as possible before the first load as well as empty all the bloom water from the tin. And if you use too much water I have found that the lather will thin out rather suddenly so add water very cautiously at first until you get a feel for the optimum amount. It does take me about three or four thirty second brush loads to get the amount of lather I prefer. I have found the soap once lathered on to be quite nice and slick. Cushioning is good as long as you get the water right. One point where this soap excels is the post shave. The feel after a good three pass shave with touch up is exceptional and one of the best I have experienced. Another outstanding point is what I refer to as economy. The soap just seems to last forever. Even with my practice of loading and creating more lather than is typically needed, it lasts a long time and this is especially true of the Volume 2 version. I should also add that the artwork on Dr. Jons products is really well done and very cool, especially Anne Bonny. I have not tried Dr. Jons AS and this is something that is on my list. For this week’s shave I tried using Clubman Virgin Island Bay Rum and this works to a fair degree although it is much milder than the Anne Bonny scent. So in summery, great soap and lather with outstanding post shave feel, good economy for an average cost and an incredible scent which is without equal. I was introduced to SJOL a while back e.g. 3-4 years ago. St.James of London is made by Creightons the same as Trufitt & Hill, Geo F. Trumpers, and the last of the three “T’s”. I was instantly blown away that such an affordable product was so darn good ! Back then it was Cedarwood & Clary Sage; today I used an scent that would deceive. Today I used a tube I stead of my larger jars of SJOL Black Pepper & Lime 🍋 it reminds me of a warmer place like the Caribbean, but also that spicy black pepper warms and invites those around you a bit closer, then they realize that initial Citrus also has a musk to it that is seductive and alluring. This unlikely scent is a winner for the winter ❄️! For the spring and the summer. This jewel of a scent will evoke a different response and memory each season. What can I say about the rest ? It’s a Semogue 830 which is so well broken in could pass for pure Badger. If you do not have this brush; it is a staple for every traditional Shaver. The PAA Double Open Comb has done right by me. The DOC is affordable and attractive at that price point, just remember this is a buffing razor so buff away folks for that BBS shave. The Boulder from American Stonecraft I used as my lather bowl is worth this many of these $$$ and is a luxury; all these products work equally as well face lathered for free. That’s all I have to say, but if you contact Brittney McDermott or, Todd Fisher I am sure they would love to talk about St. James of London and match you up with the perfect cream and other products that fit your style perfectly. Fragrance: Penhaligon’s Blenheim Bouquet 💐 — with Roberto Monanni and 6 others. A fragrance based around leather, jasmine, vanilla, incense, and sandalwood, with a fresh opening of raspberry and citrus; the newest release from Tom Ford? Serge Lutens? Slumberhouse? Wait, it’s a Revlon product from the Seventies made for women that can be found in most drugstores? Wait, what? First, let me explain that fragrance tastes have changed radically over the past fifty years, if not longer. Consider even Old Spice, which was originally released for the feminine market. In today’s market, heady orientals are looked upon as “old fashioned” or better suited for an older generation. Niche fragrance houses are turning back the clock in this regard, bringing heady, rich fragrances back into popular eye. Charles Revson released Ciara (a play on his initials, CR) back in the early Seventies as a high end, glamour scent for women. With today’s tastes, it’s very unisex, favoring masculinity in my opinion. Upon first application, you’re met with bright lemon and raspberry, soon followed with herbaceous sandalwood, drying down into dark, smoky vanillac incense. A truly delightful scent at an excellent price. I’d advise searching for a bottle that still contains oakmoss, as I was lucky enough to find. If you cannot, it’s still worth it. Perhaps not as deep a scent, but still overall quite excellent. For more information, check out Fragrantica.